Cows at Leary's Farm in April. SACO, Maine — Several Maine dairy farms are pondering their future this week after finding themselves without a way of getting their milk to market. The reason? The hauler who transports their milk says it's no longer profitable to do so. Eight Maine dairy farmers are affected by the hauler's decision to abandon the route: three in Waldo County and five in southern Maine. Tim Leary is one of them. He runs a family farm in Saco, and a little over a week ago, he says he got a call from his milk hauler, who's based in Palermo, which is 90 miles away. "He's been experiencing some financial difficulties, particularly down this end of the state, where you've got fewer cows, less milk and relatively long stretches between farms," Leary says. 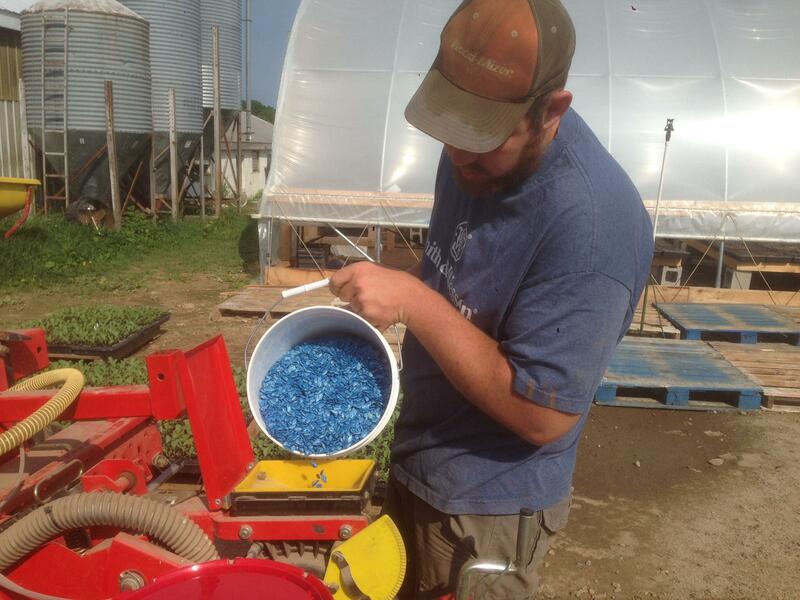 A farmer at Leary Farm prepares butternut squash seeds for planting. The bottom line — the hauler is terminating two of his collection routes at the end of the month and will no longer be able to take Leary's milk to the processor. "Which leaves us in an unfortunate set of circumstances in that now we don't have anyway to get our milk to market," he says. "It has left these farmers in a bit of a bind because they still have a contract for their milk to be accepted at the processor but they have no means of transportation to get it there," says Julie-Marie Bickford, executive director of the Maine Dairy Industry Association. The dairy industry has had its challenges over the years, but most of those have been market-related, says Bickford. This is the first time a transportation or infrastructure issue has negatively affected the industry, which has seen the number of dairy farms shrink over time. Bickford says that number is currently about 250, about half of as many as there were in Maine a decade ago. 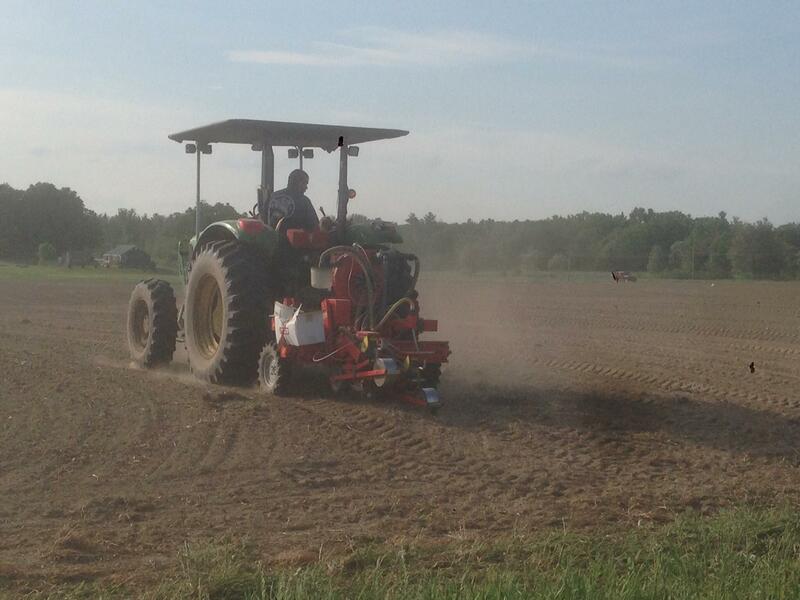 A farmer at Leary Farm plants butternut squash. "It does get more difficult to put together financially stable milk runs when you have fewer farms to choose from," she says. The eight dairy farmers now have to find new ways to get their milk on the road or get out of the business altogether. Leary has chosen the latter route. Three years ago he cut his dairy herd by more than half. And now, he says, he's selling off the rest of his cows so he can concentrate on raising vegetables instead.